Westerners have become familiar with many Japanese aesthetic concepts such as wabi, sabi, and kawaii, but the concept of kehai (気配) as a driving force in art is relatively unknown. Master photographer Yukihito Masuura, whose photos are in the private collection of the Emperor of Japan as well as the National Library of France, will explain and demonstrate how kehai – the concept of "Invisible Indications" – has influenced his life’s work recording the masterpieces of both Western sculpture and sacred Shinto architecture. Very few artists have been allowed to photograph in both the tightly controlled sanctuaries of Europe’s leading museums as well as Japan’s most sacred Shinto shrines. 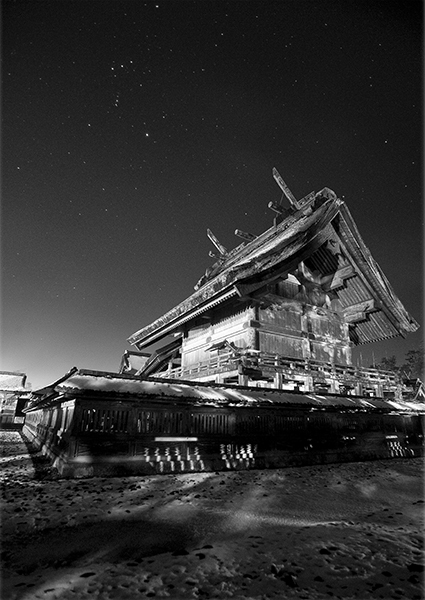 Mr. Masuura will discuss his career in photography as he presents a slide show of his photographic work, ranging from Western sculpture to Japanese sacred architecture undergoing cyclical reconstructions dating back more than a thousand years. He will show examples to explain how kehai has influenced his work, and what it means in the context of documenting the continuing traditions of both Japan and the West. Mr. Masuura will be happy to autograph copies of his works brought to this event, but there will be no books available for sale at this time. For those wishing to view Mr. Masuura’s actual photographs in an exhibition setting, a reception will be held from 6:30pm to 8:30pm the following evening, Wednesday April 3rd, at Foto Care Rental, located at 43 West 22nd Street (b/n 5th and 6th). The exhibition will run until April 6th, 2019. Born in Tokyo in 1963, Yukihito Masuura moved to Paris at age 18 to pursue his dream of a career in photography, by seeking employment as the assistant to Guy Bourdin, the renowned photographer of Vogue Paris. He then focused his attention to the works of such Western artists as Aristide Maillol, Antoine Bourdelle and Auguste Rodin, developing a unique personal aesthetic to transform three-dimensional artifacts into two-dimensional art, via the application of natural light and refined camera movements. Subsequently commissioned to photograph the collections of such major art museums as the Louvre, the Musée d’Art Moderne de la Ville de Paris, and the Musée Rodin, Masuura was requested in 1988 to add more than thirty of his works to the permanent collection of the Bibliothèque nationale de France (National Library of France). A seven year project to photograph all of Michelangelo’s sculptures followed (1994-2001), resulting in his stunning “GENESIS” solo exhibitions held in Florence’s Casa Buonarotti and the Tokyo Metropolitan Museum of Photography, which dramatically illustrate the importance of natural light and shadows to the photographic interpretation of solid objects, corroborating Michelangelo’s belief in light as “The Hand of God.” It was during this period that Masuura came to realize the importance of kehai – “The Invisible Indication” – as a guiding principle in his use of light. In 2006, Masuura commenced his next major project, documenting the cyclical reconstruction and reconsecration of Japan’s most sacred Shinto shrines, Izumo Oyashiro (about every 60 years) and Ise Jingu (every 20 years). This religious tradition, Sengu, dates back more than 1300 years, and not only preserves the artisanal skills required for continuity in Japan’s architectural aesthetics, but also highlights the Japanese aesthetics of wood, paper, textiles and natural light as an artistic symbiosis with nature. Masuura uses custom-made traditional Japanese paper Washi for his exhibition prints. “I would like to show the world the evidence that it is possible to continue beauty and maintain a sustainable society for more than 1000 years” stated Masuura for this event. Masuura’s works are included in museums and private collections world-wide, including the private library of Their Majesties the Emperor and Empress of Japan. He was awarded the prestigious Salon d’Automne in 1987. 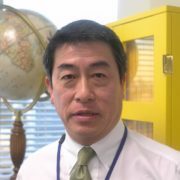 Mr. Masuura will be introduced by Mr. Tatsuo Ito, former Chairman of National Geographic Japan, and currently CEO of Photographers Associates Tokyo, LLC. 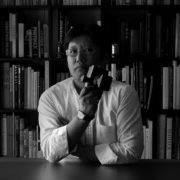 Mr. Ito is renowned among his peers in the global photography industry as a leading discoverer and supporter of Japan’s most talented photographers.